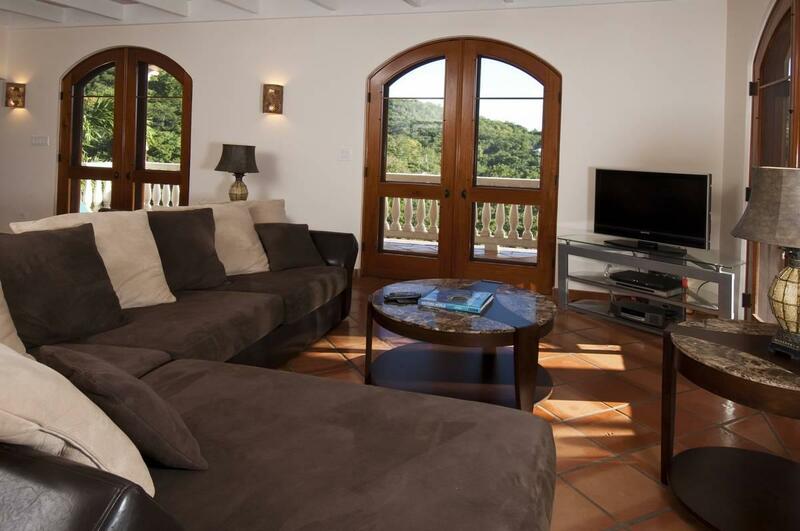 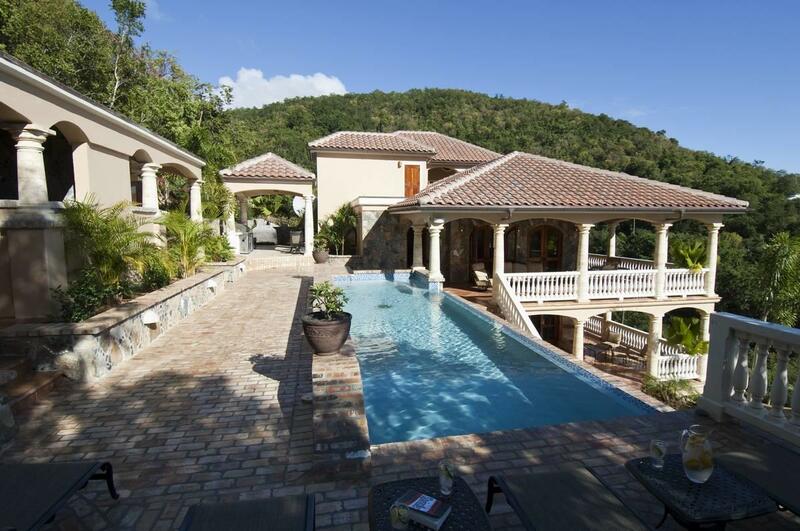 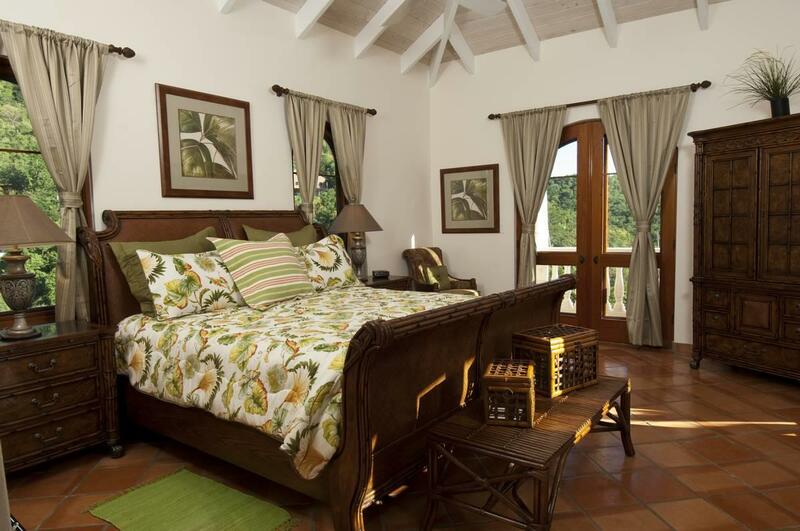 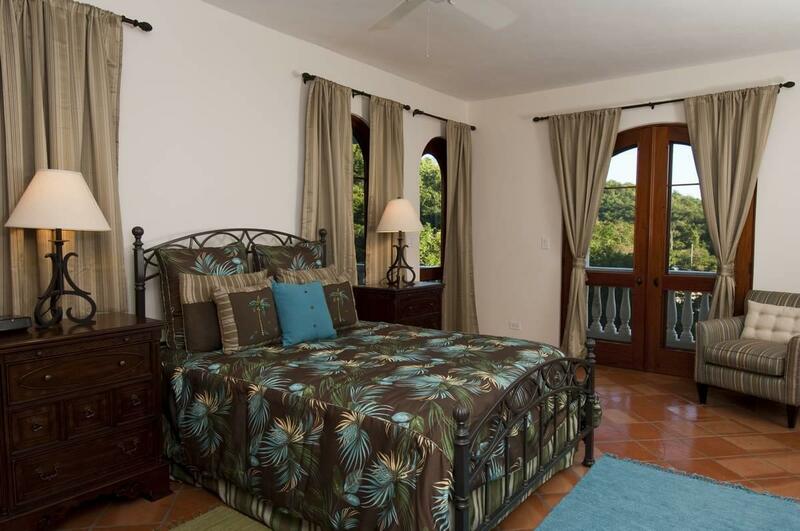 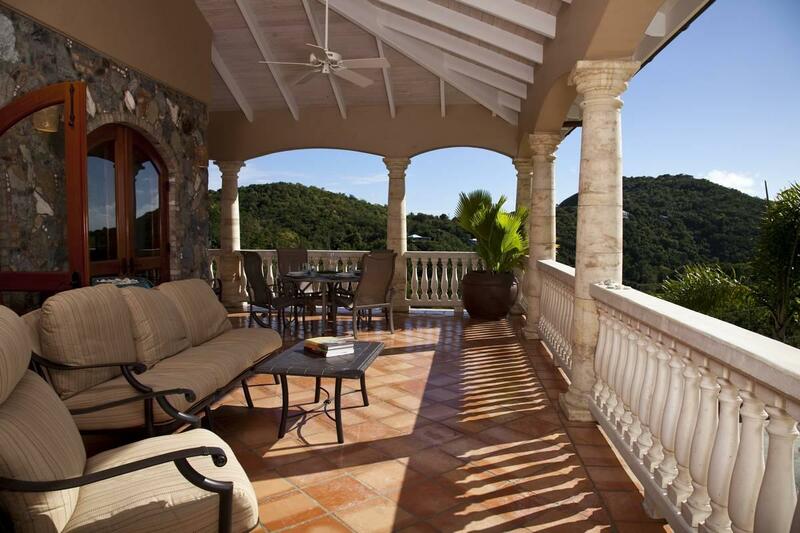 Villa Darcini seamlessly blends classic Caribbean architecture w/the modern amenities of newer construction. 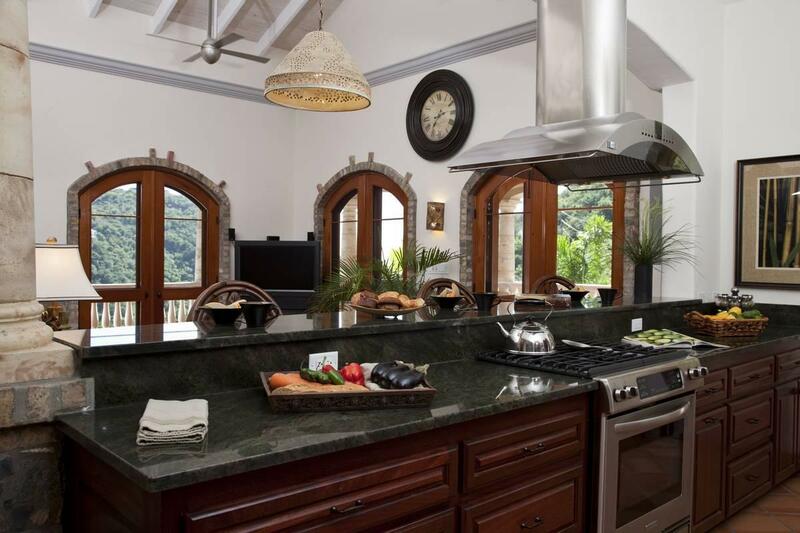 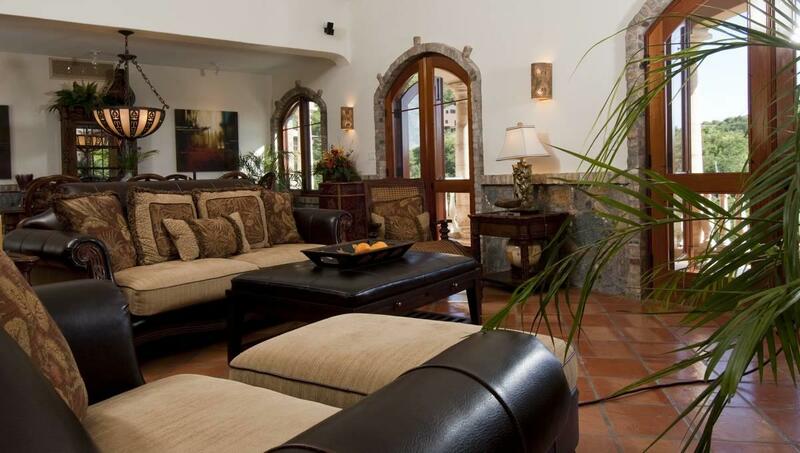 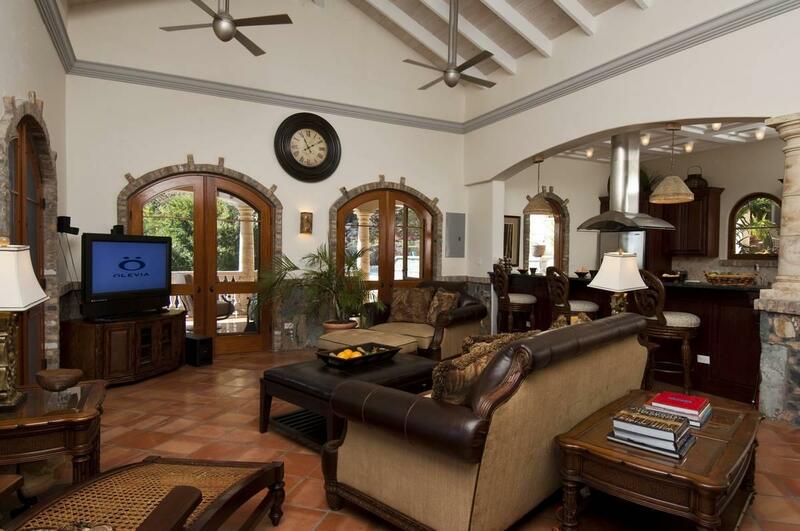 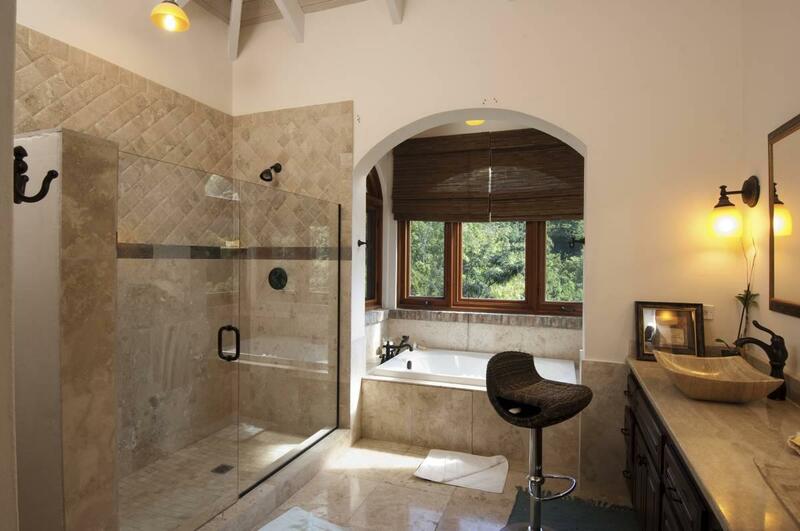 Classic accents include Caribbean stonework, arched openings, mahogany custom doors & windows, brick accents & terracotta tile floors throughout this 5 bedroom villa w/a classic pod style layout for maximum privacy. 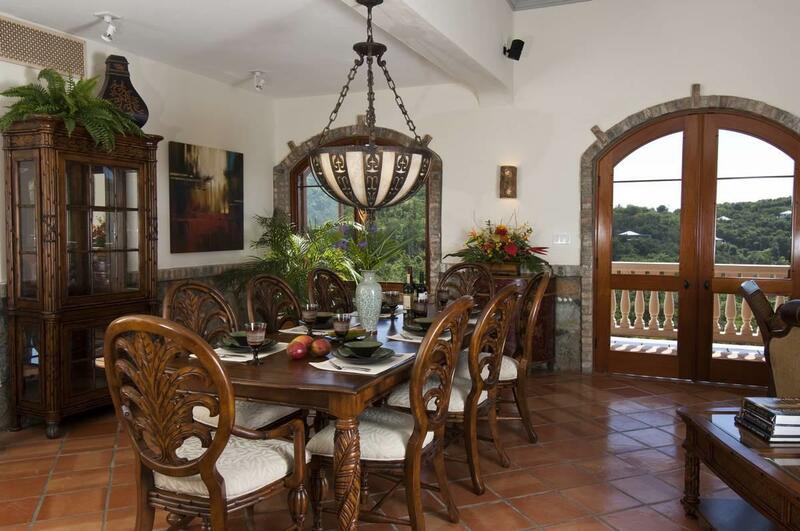 The grand great room w/modern kitchen & dining can easily accommodate large groups. 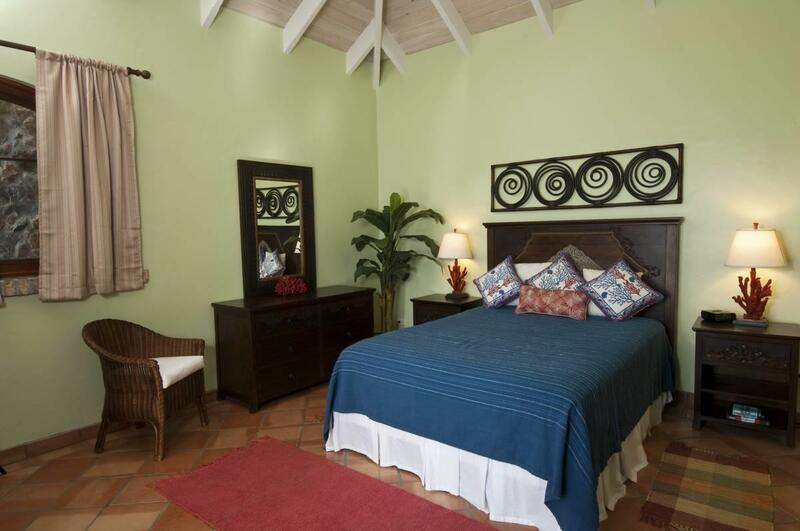 One large en-suite bedroom can be accessed off the great room whereas an interior staircase leads to a 2nd large en-suite bedroom. 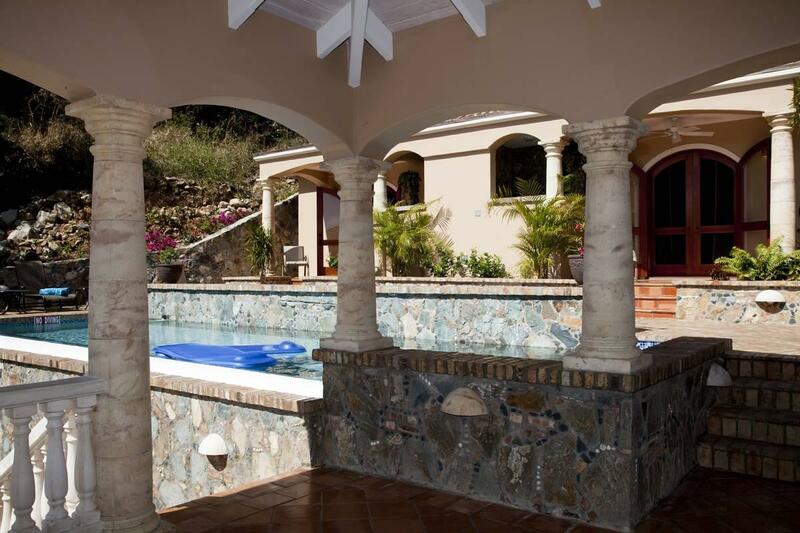 A separate pod overlooking the large masonry pool contains the 3rd & 4th bedroom. 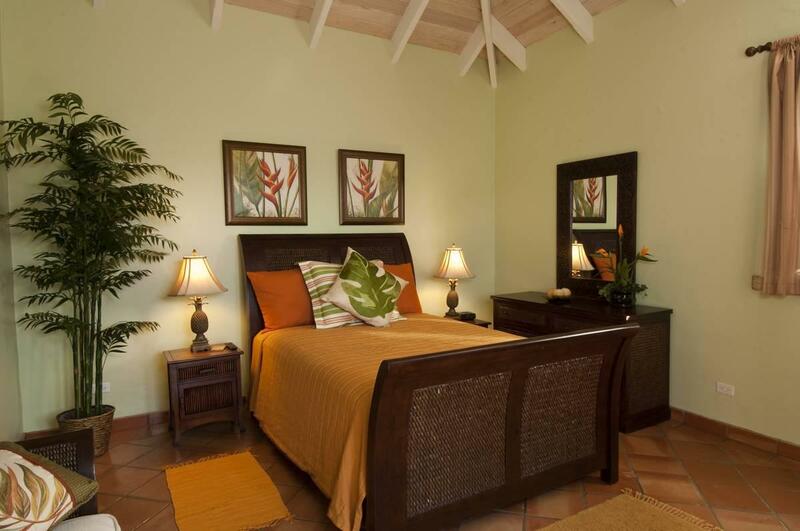 The 5th en-suite bedroom offers a full kitchen, laundry & living area. 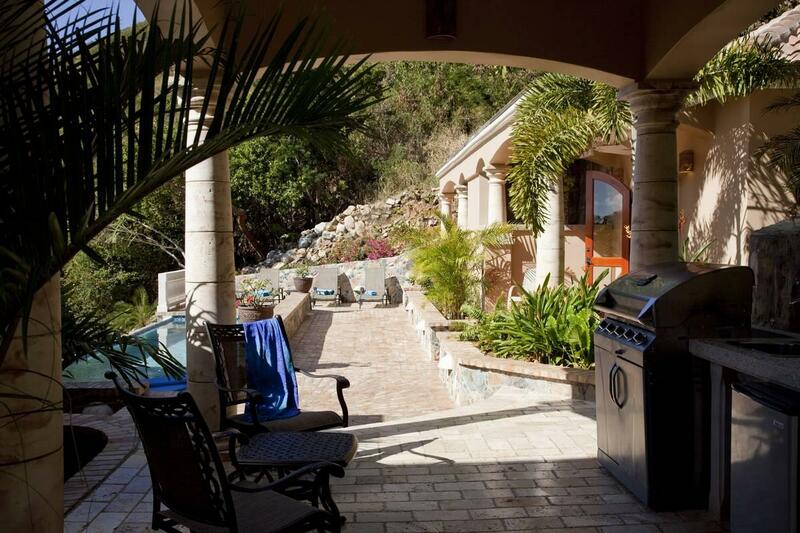 Other amenities include gated entrance & a/c throughout. 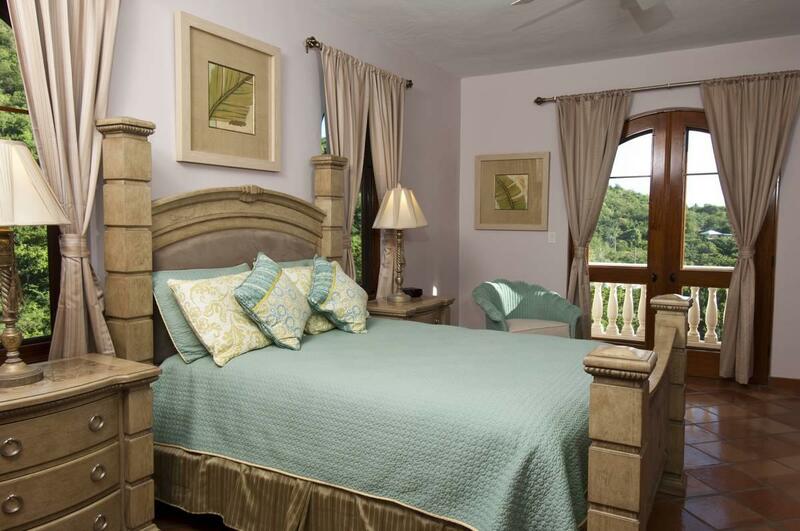 Villa D'arcini offers ultra-comfort & quality.